CMS (Content management System) - Your content admin area. From x wasted spend in 2010 to x wasted spend in 2012. From x clicks in their own crafted campaign to x clicks via our Campaign. Weekly CTR of x to 2012 CTR of. This client has been with us since September 2010. We have 6 x £75 credits expiring 30th September. Should you wish to get your hands on a £75 credit, you must choose a package on the right hand side and order asap. I've no Google Account at all. 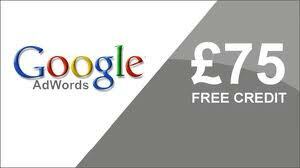 I've a Google account but not AdWords. I'll setup my AdWords account. Social Networking Stats - Who uses it etc. In 2009, the Pew Research Center found that 22% of internet users age 50-64 and 13% of internet users age 65+ used social networking sites. By 2010, those numbers had jumped to 47% and 26%, and they’ve kept climbing. Small Business Helper aims to cater for 'you'; by your character type and your stage of Business Life. So, are you a DIY'er, Fixer or Do'er? Similarly, you may be a 1-man-band, Medium Business or a Large Corporate? regardless, there's always room for improvement & a fresh pair of eyes. Discuss our Fully Managed Web Consultancy. Short cutting to the reason: Many modern forms of marketing 'puts you in front of those looking for your service' as opposed to traditional marketing which relies on 'attempting to interrupt consumers in hope they'll enquire about your product'. "As the marketplace for advertising gets more and more cluttered, it becomes increasingly difficult to interrupt the consumer. Imagine you're in an empty airport, early in the morning. There's hardly anyone there as you leisurely stroll towards your plane. Suddenly, someone walks up to you and says, "Excuse me, can you tell me how to get to Gate 7?" Obviously, you weren't hoping for, or expecting, someone to come up and ask this question, but since he looks nice enough and you've got a spare second, you interrupt your train of thought and point him on his way. Now, imagine the same airport, but it's three in the afternoon and you're late for your flight. The terminal is crowded with people, all jostling for position. You've been approached five times by various faux charities on your way to the gate, and you've got a headache to top it all off. Same guy comes up to you and asks the same question. Odds are, your response will be a little different. If you're a New Yorker, you might ignore him altogether. Or you may stop what you were doing, say, "sorry," and then move on. A third scenario is even worse. What if he's the fourth, or the tenth, or the one hundredth person who's asked you the same question? Sooner or later you're going to tune out the interruptions. Sooner or later, it all becomes background noise. Well, your life is a lot like that airport scene. You've got too much to do and not enough time to get it done. You're being accosted by strangers constantly. Every day, you're exposed to more than four hours of media. Most of it is optimized to interrupt what you're doing. And increasingly, it's getting harder and harder to find a little peace and quiet. Sooner or later you're going to tune out the interruptions. Sooner or later, it all becomes background noise." Analogy borrowed from Seth Godin's book on 'Permission Marketing'.